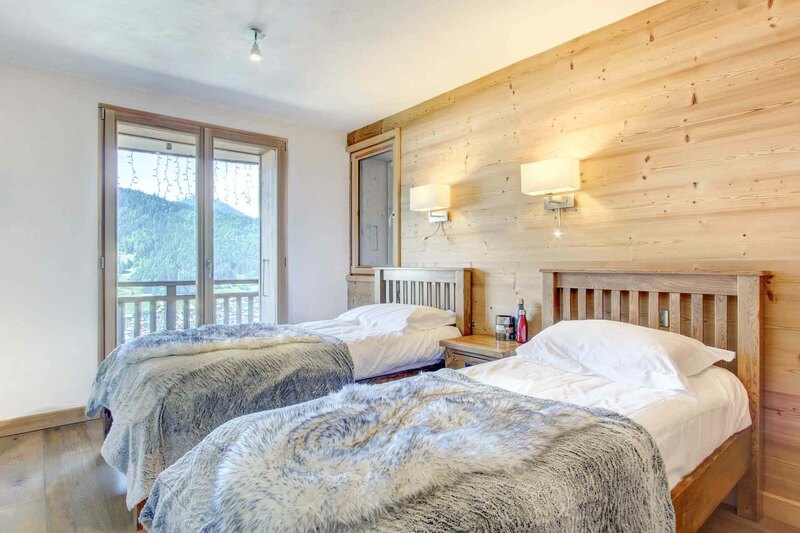 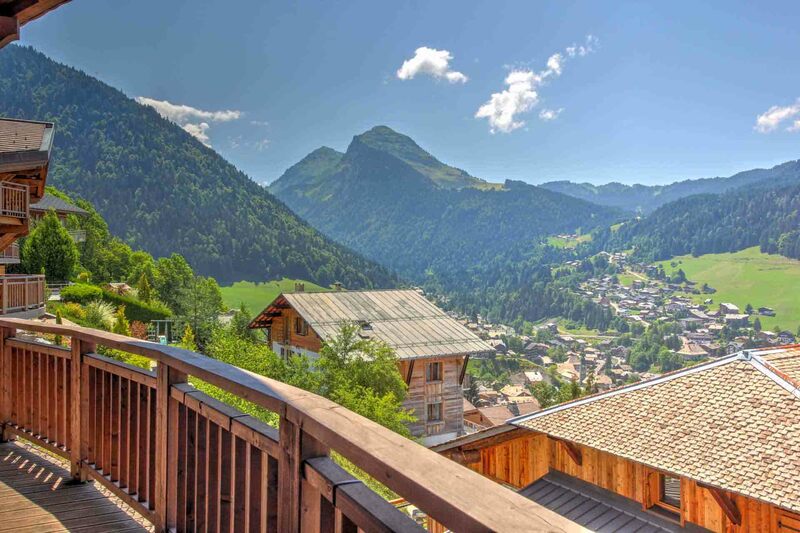 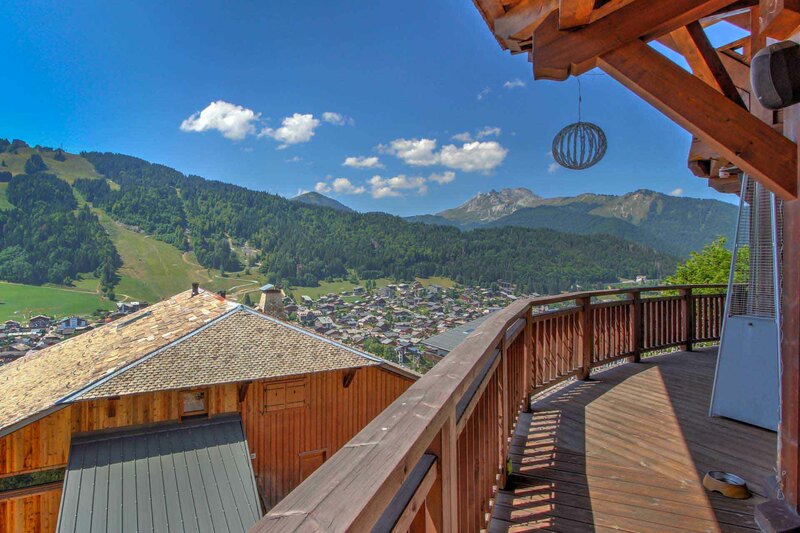 Located in an elevated position on the south facing side of Morzine, this five bedroom chalet offers panoramic views, multiple terraces and balconies, and a rear garden perfect for garden party entertainment. 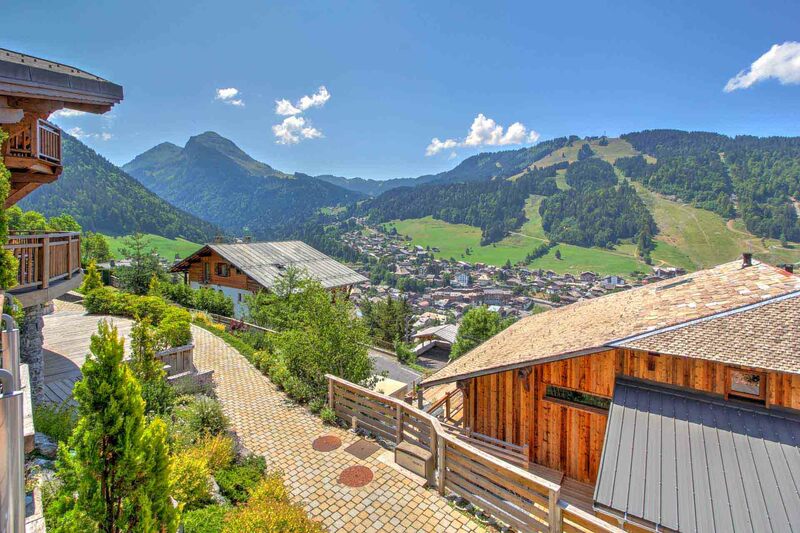 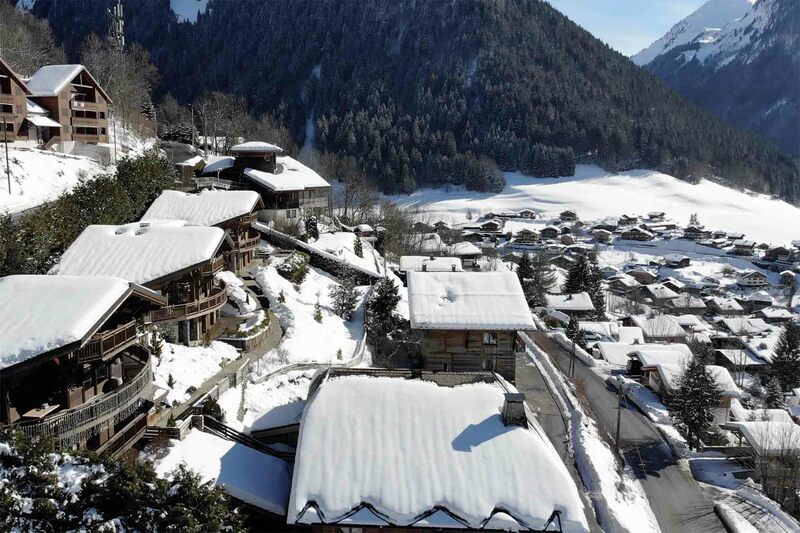 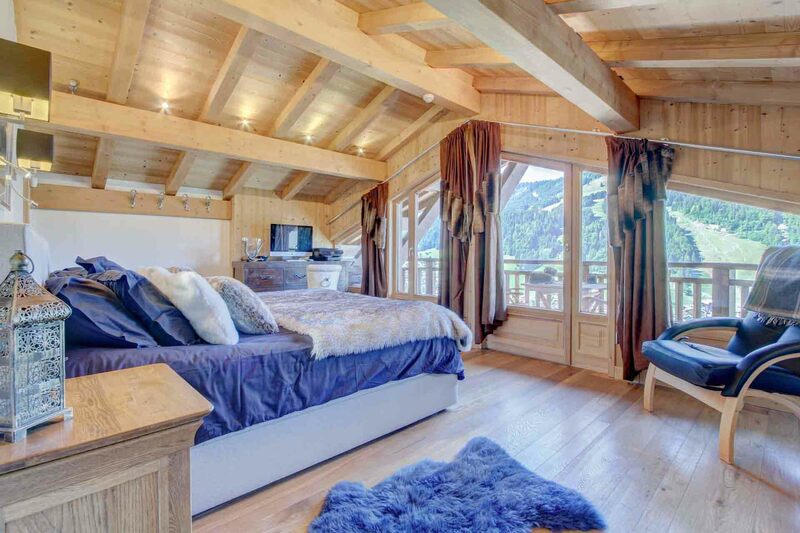 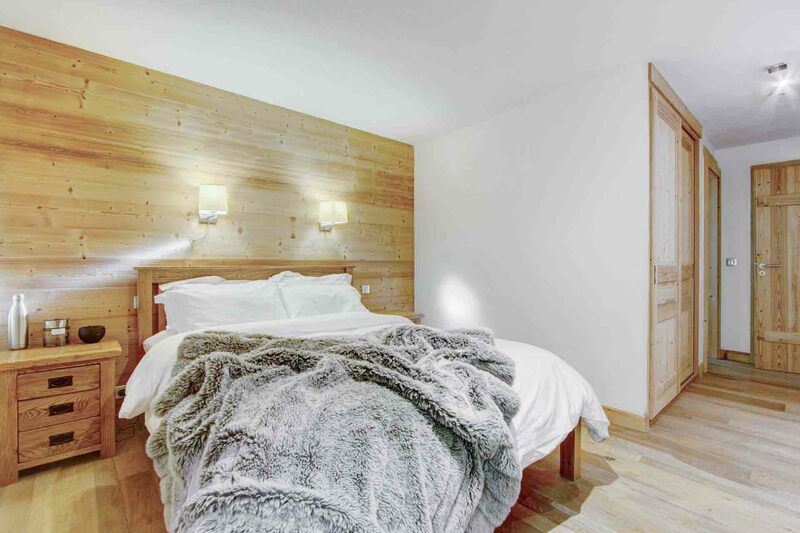 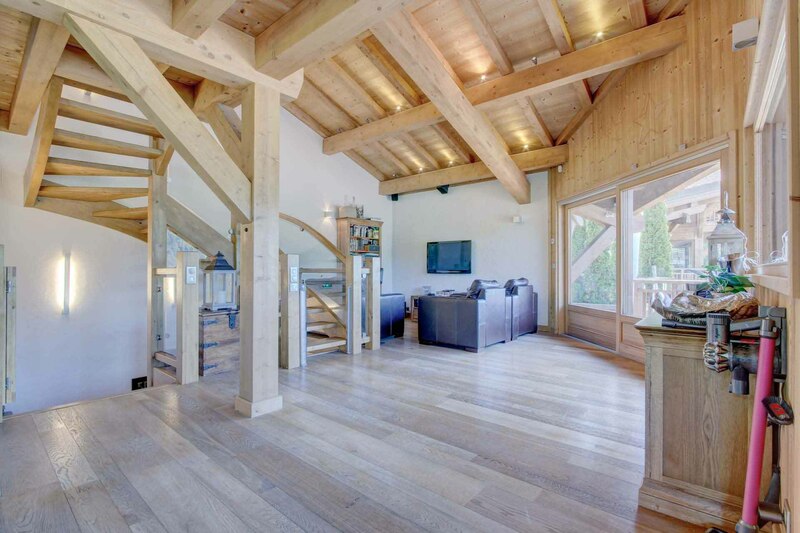 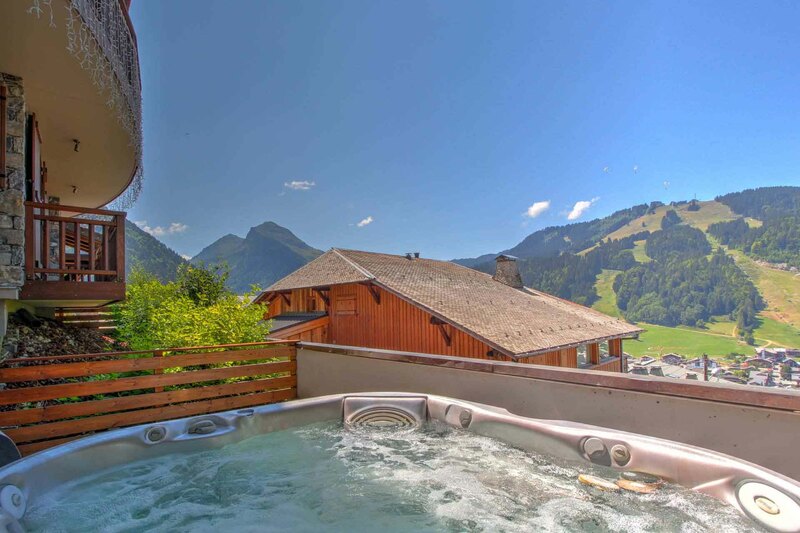 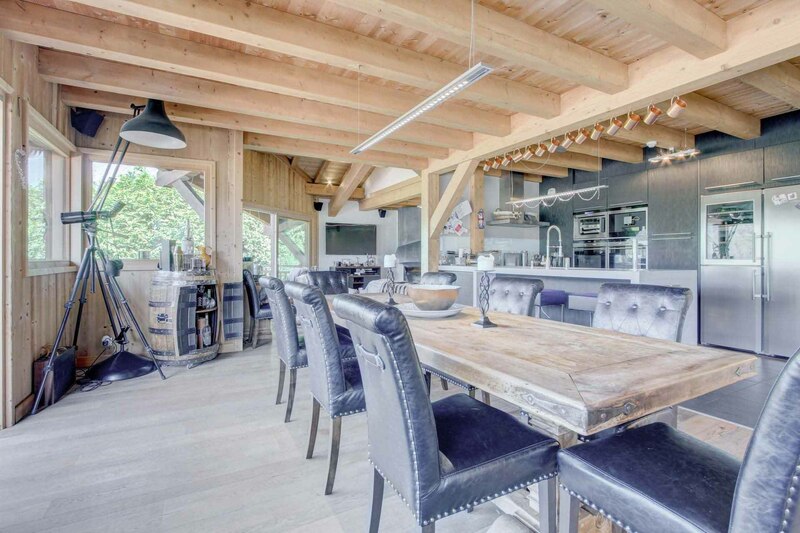 Designed by a renowned Morzine architect, completed in 2011, this recently constructed chalet has been meticulously planned and constructed with modern Alpine living in mind. 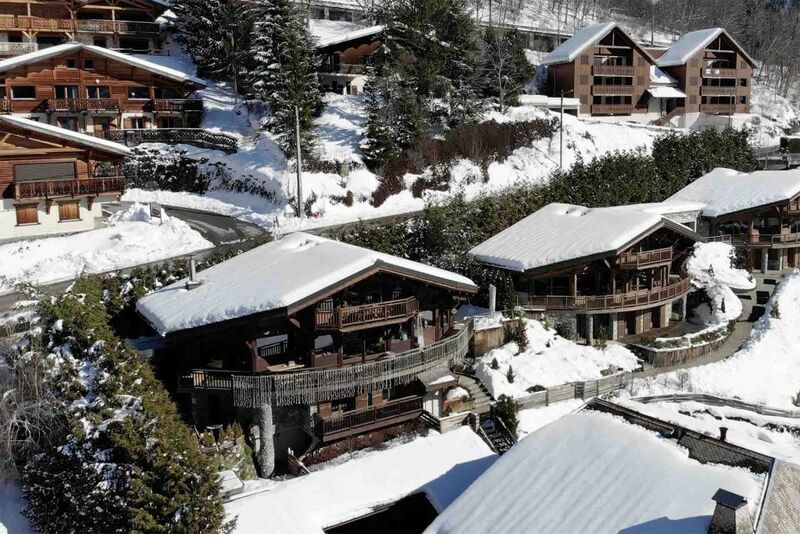 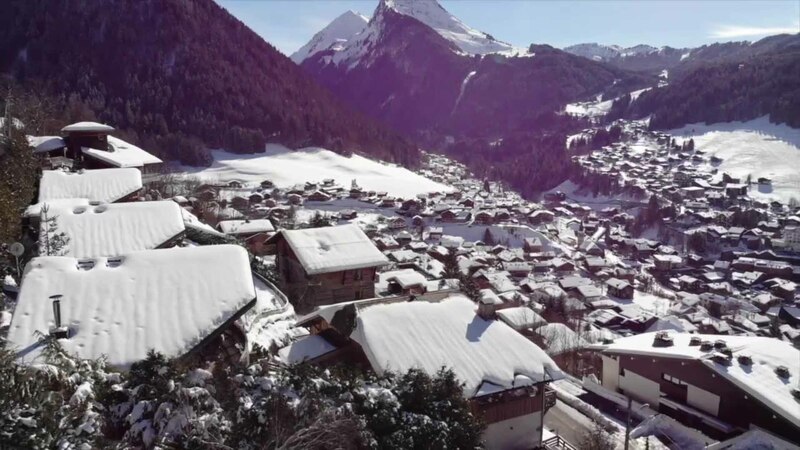 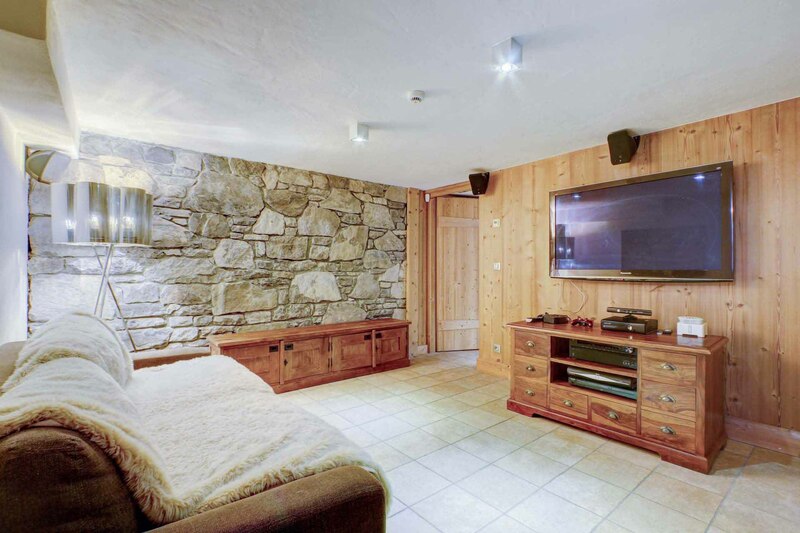 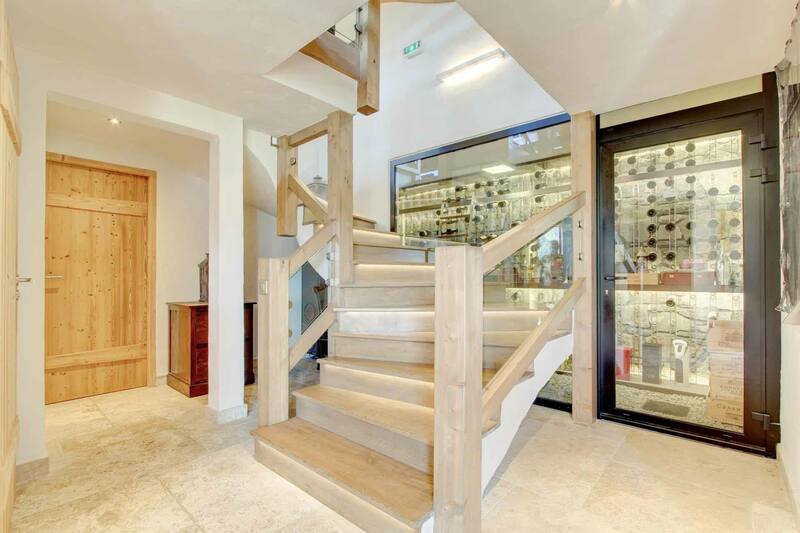 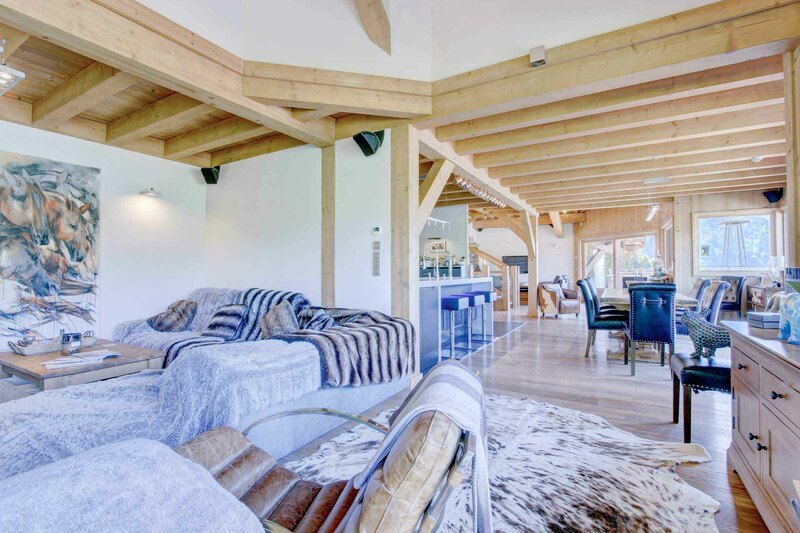 Full surround sound system, high specification lighting, exquisite bespoke wine cellar and carefully curated external and internal entertainment space make this a Chalet with few equals in the luxury Morzine Chalet sector. 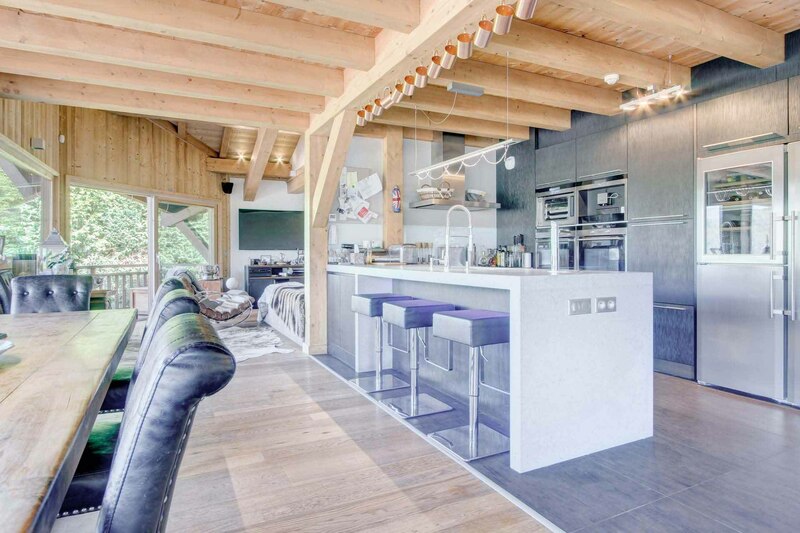 The entire first floor is dedicated to a large open plan living, kitchen and dining area with high exposed beam ceiling, and gorgeous wrap around balcony showing off the valley on three sides. 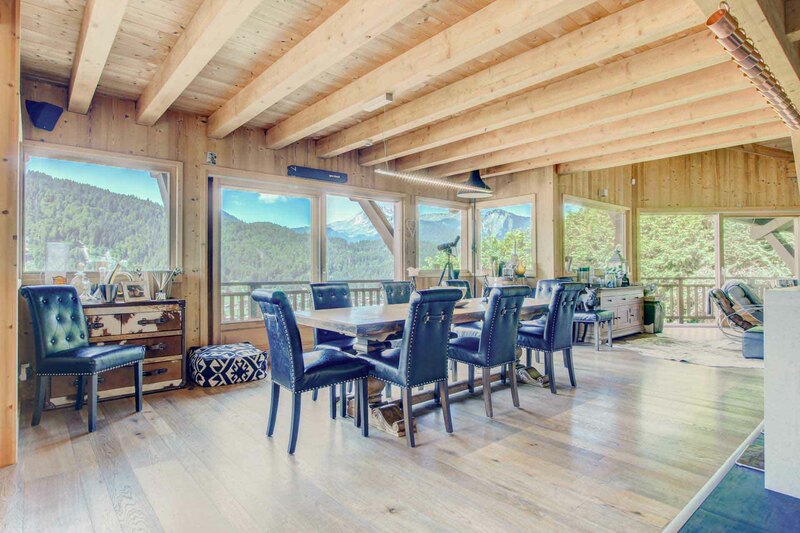 Luminous and inviting, this extraordinary space brings the outside in and is the centre piece of this four season Chalet. 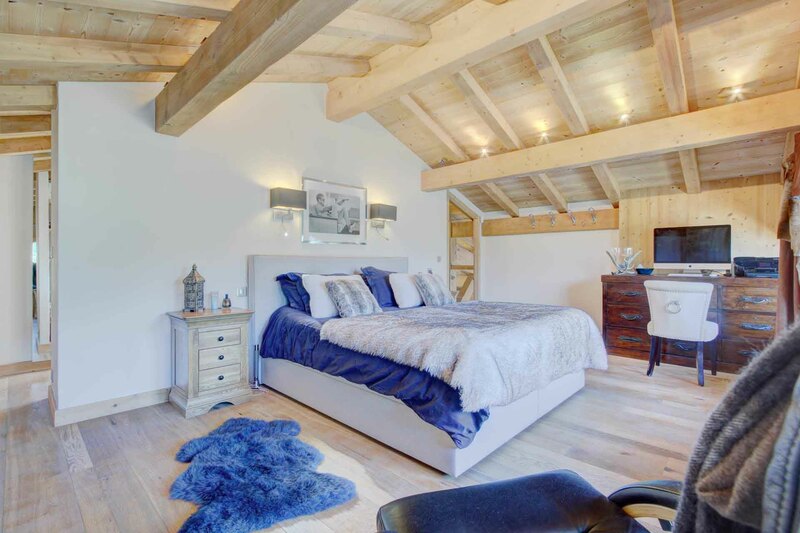 The large master bedroom suite is the whole of the top floor with its own private balcony, walk-in wardrobe and spacious bathroom featuring a jacuzzi bath and walk-in shower. 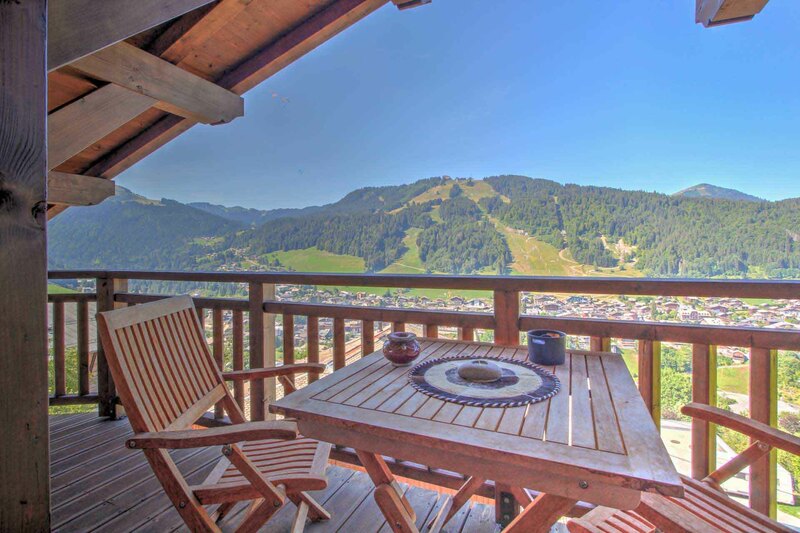 The views from this private Chambre de Maître take in the whole of Morzine centre and the Mountains beyond. 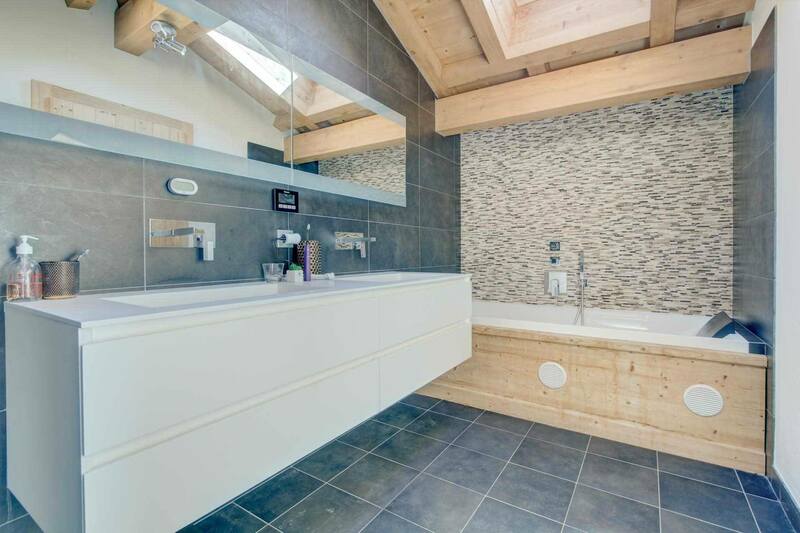 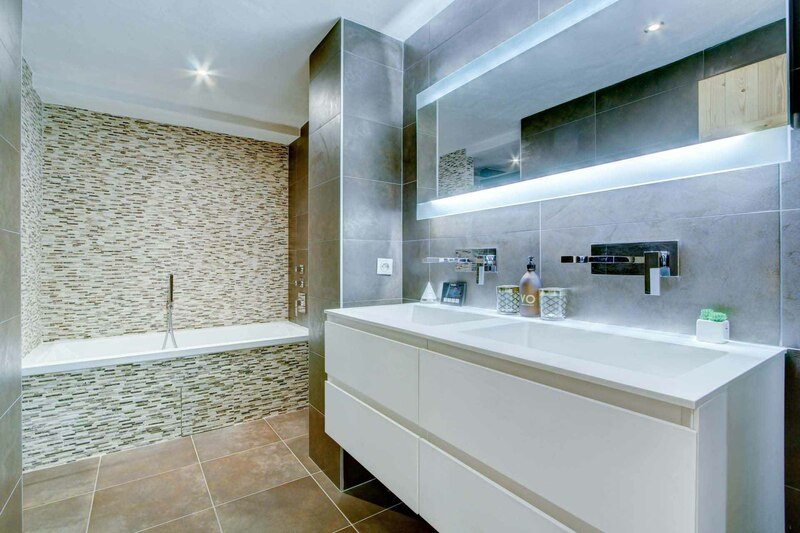 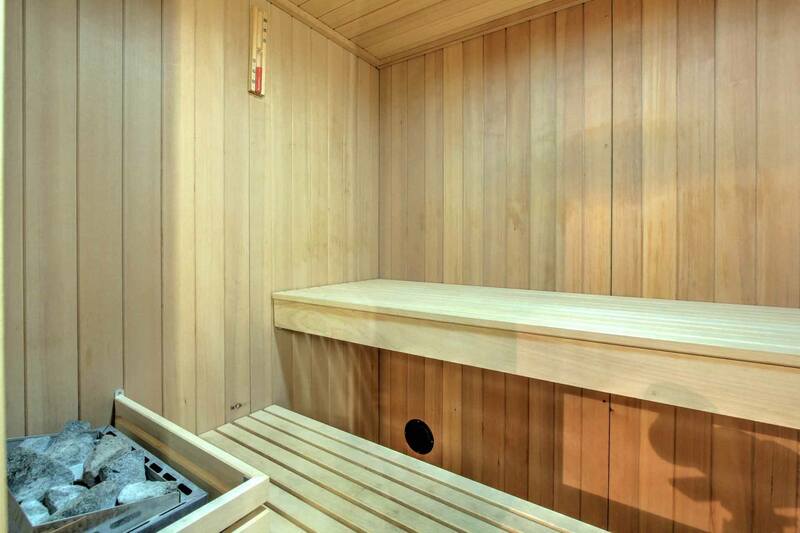 Large bathroom with a walk in shower, double basin, and bath.